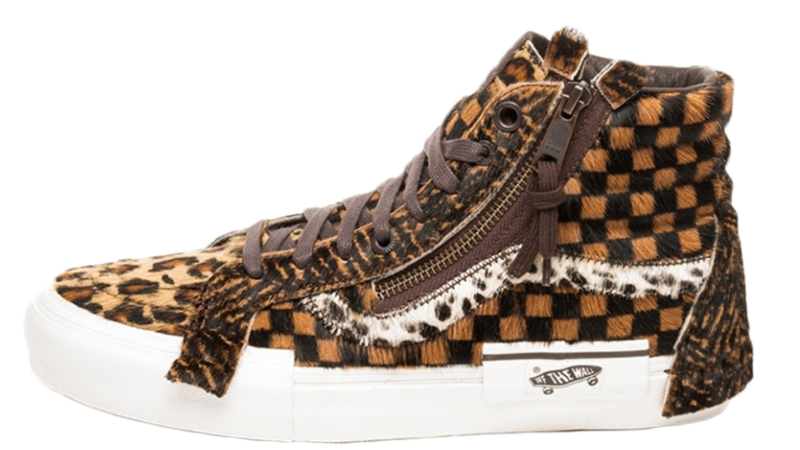 Unleash your inner wild animal with the Vans Vault Sk8-Hi Cap LX Cut & Paste in multi animal print. 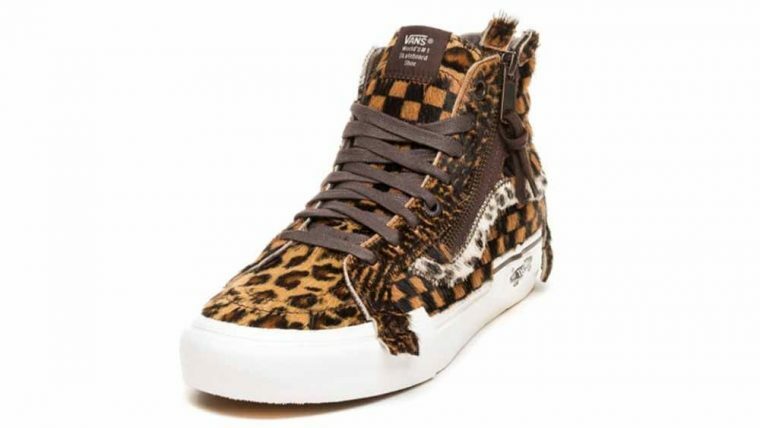 The animal print trend is still going strong, and iconic skate brand Vans has blessed us with this animal print hi top re-issue. 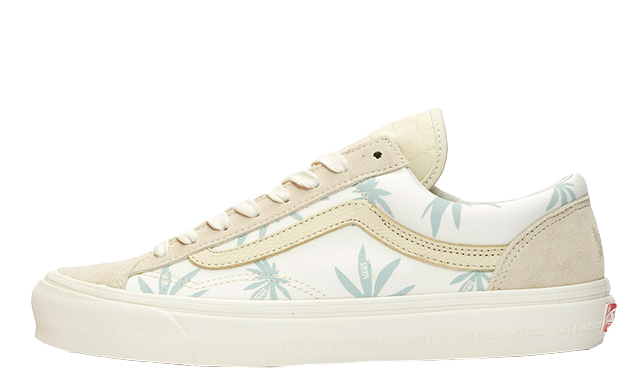 Not content with just one print, Vans has gone all out. 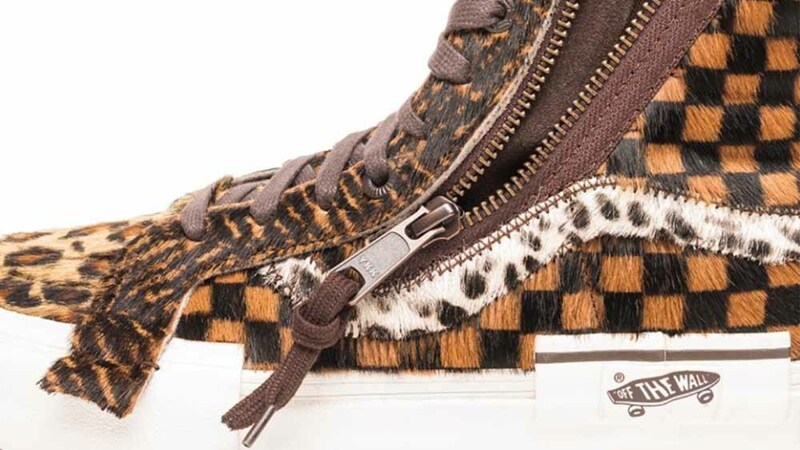 The silhouette features a patch work of leopard print, tiger stripes, and other signature markings from big cats in pony hair texture. 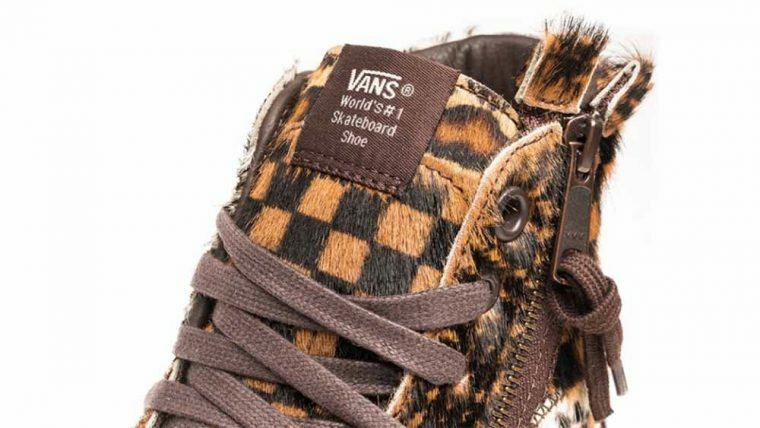 Vans has also given its signature check an animal-inspired update, using black and orange pony hair to up the animalistic influences. 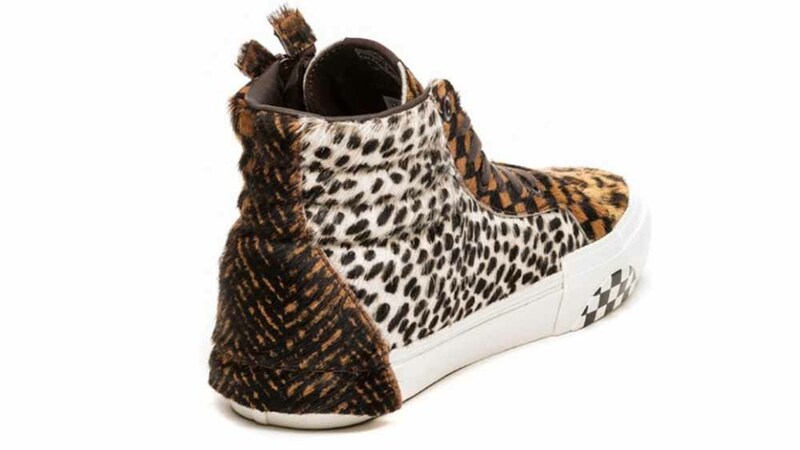 The sneaker follows a classic Vans Hi Top design – but the bronze zipper to the outer sidewall brings an unexpected twist that’s definitely make this pair easier and quicker to slip on and off. 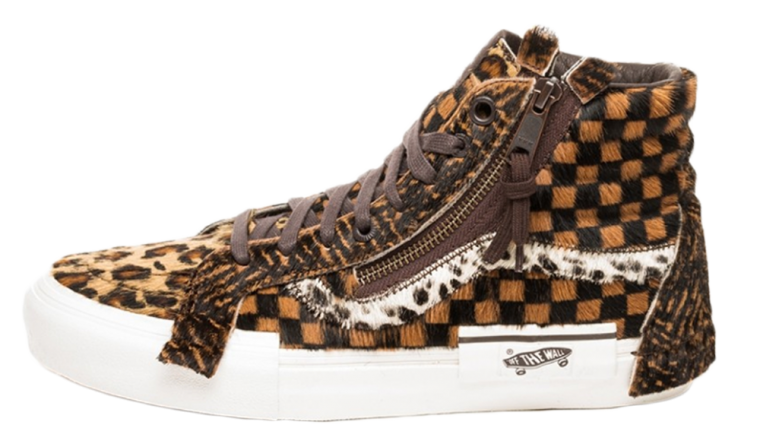 The traditional leather Vans sidestripe has been adorned with cheetah print, again in pony hair, while excess eyestay fabric hangs down onto the midsole to enhance the DIY aesthetic. 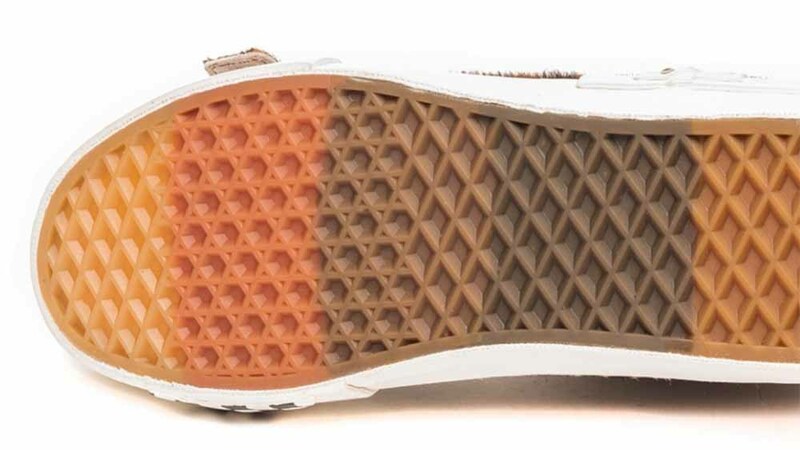 Underfoot, the classic waffle outsole known for its grip and traction has been given a gradient makeover in natural brown hues. Vans branding can be seen throughout the shoe: the tongue label shows embroidered vans branding, while the heel label has been repositioned to the outer sidewall and given a monochrome twist. If you’re loving the Vans Vault Sk8-Hi Cap LX Cut & Paste in multi animal print as much as us, check the stockists linked on this page to cop your own!